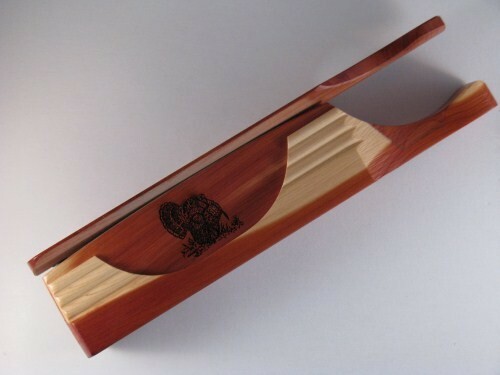 This box call is just like our very popular Half Moon Turkey Call except that it has an added handle for those who prefer a handle version. Overall length with handle is 8-3/4". 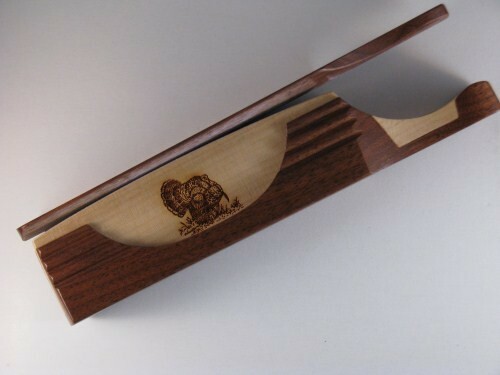 Featuring the same beautiful hardwoods and finish to make this another heirloom quality box call for generations to come. 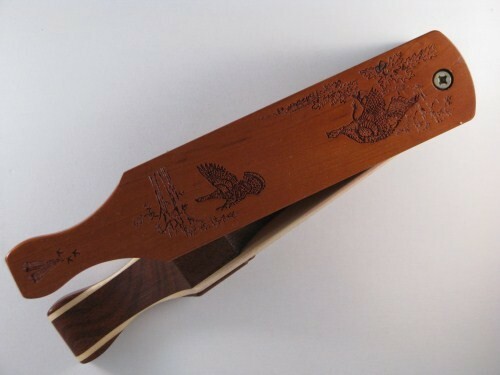 The paddle engravings may vary from what is pictured. 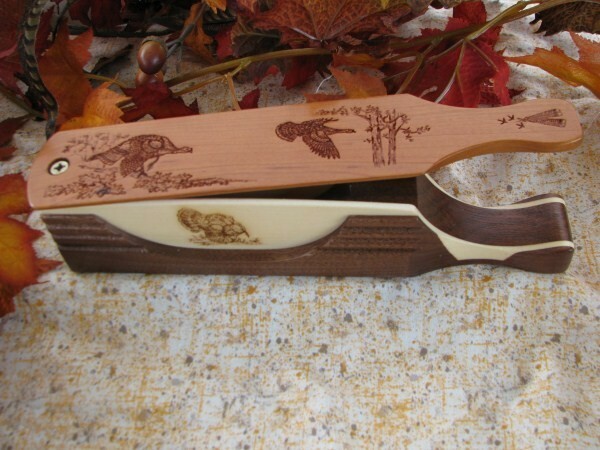 Consider a custom holster for your new turkey box call. 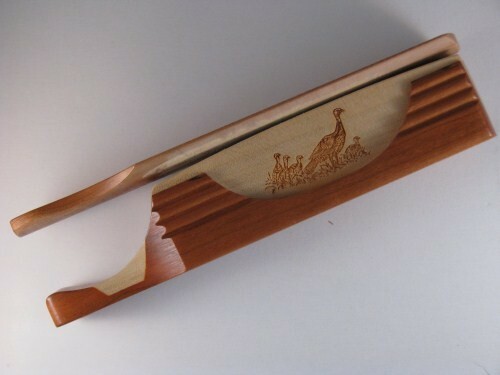 Hunting calls are our backbone initially launching Cottage Craft Works and CCW Hunting Calls. 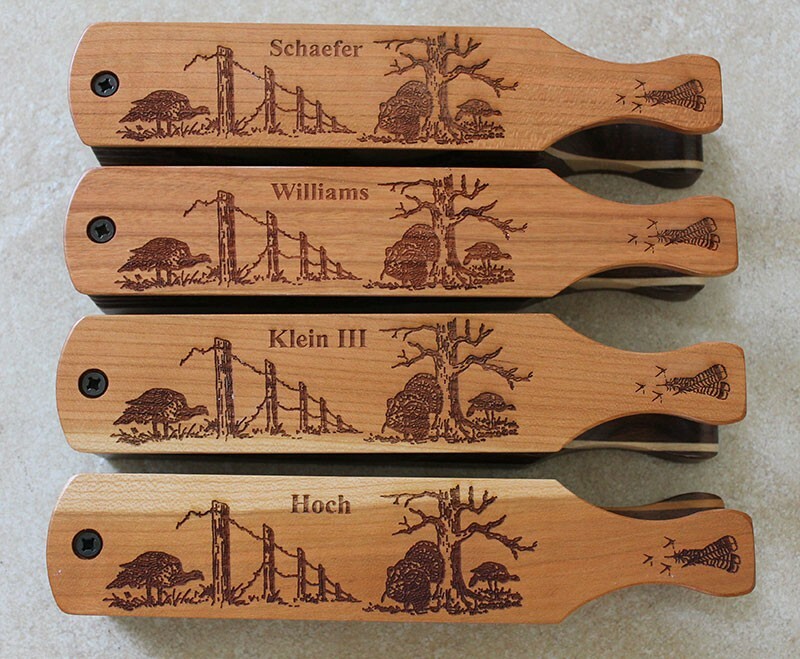 Since our introduction to the market in 2006, our beautiful Amish handcrafted hunting calls have become very popular. They sound as good as the look. 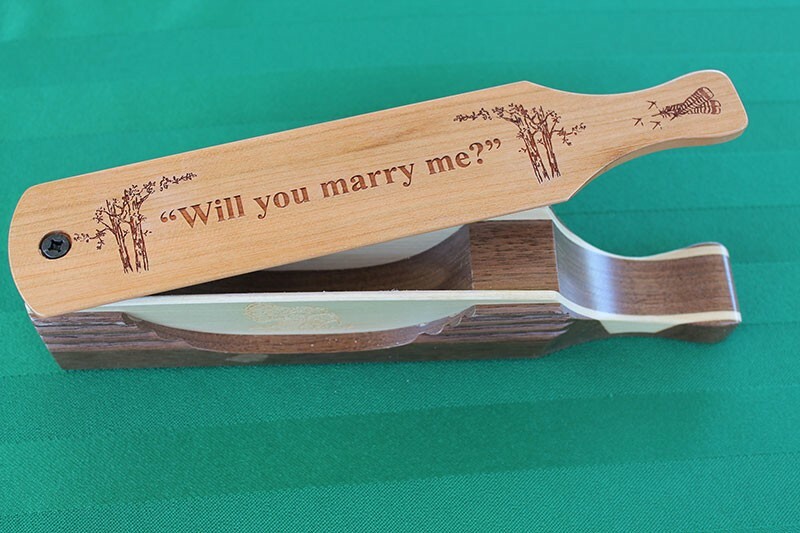 With our custom engraving option, the calls have become even more popular as the wedding party and personal gift options.